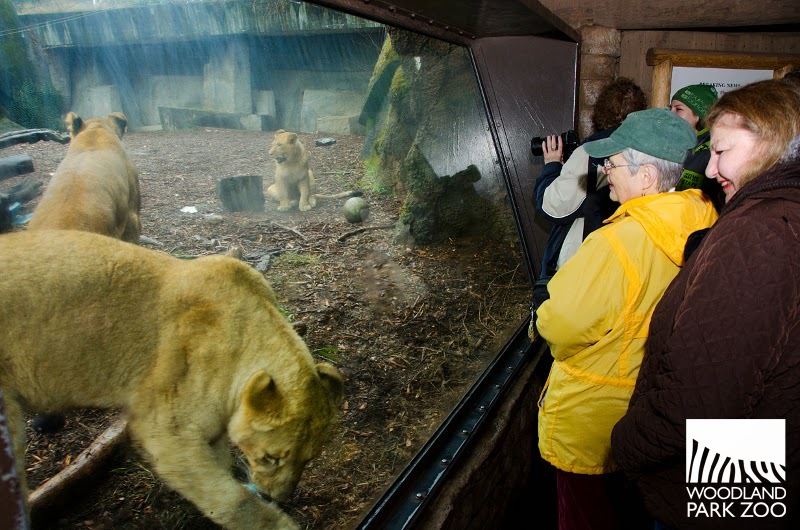 Woodland Park Zoo Blog: Seniors go in like a lion! For the young and young at heart—a zoo is truly a place for everyone to discover wildlife and to be inspired to learn, care and act. 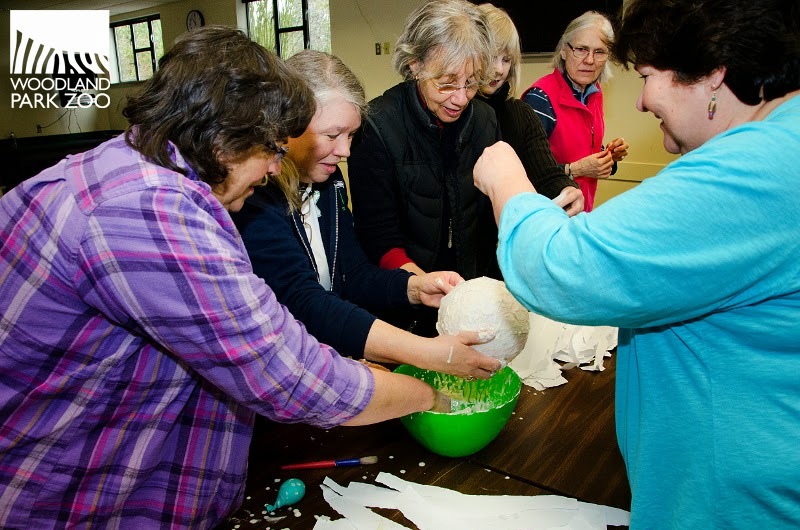 It comes as no surprise to people that we offer programs for children here in the zoo’s Education Department, but less known are the programs we offer for senior citizens. 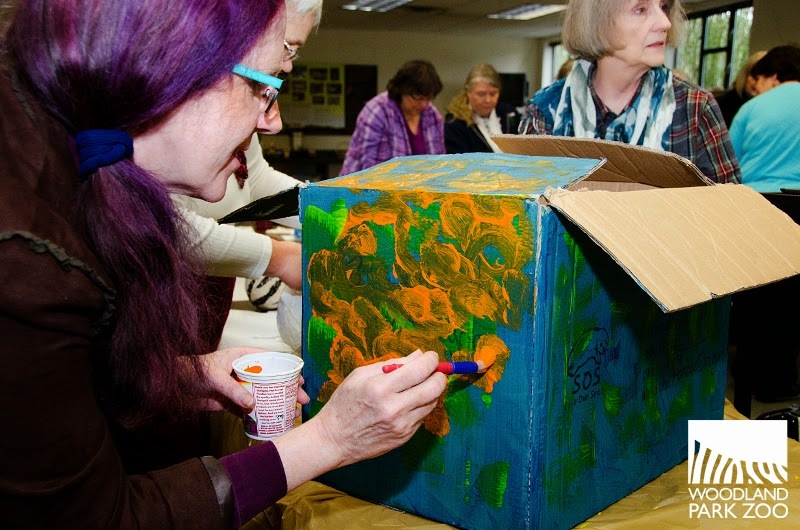 Through our Senior Classes, senior citizens have the opportunity to learn more about the zoo and the animals that call it home, as well as get some unique opportunities. The most recent Senior Class, “In Like a Lion,” gave the seniors a chance to see our resident lions up close and learn how zookeepers provide enrichment for the animals’ development and well-being. Many animals at the zoo receive enrichment, and the class attendees began the class by watching the lions devour a treat. Photo by class attendee, Karen Haimes. Back in the classroom, the seniors tried their hands at making piñata boxes for the zookeepers to use for the next scheduled enrichment. It was a chance to really dig in and make something special for the animals, and the seniors made the most out of the opportunity! 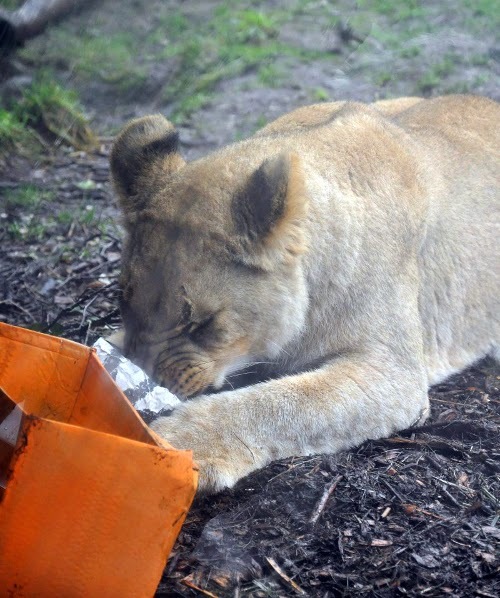 There is a lot that goes into the making of enrichment items: materials have to be safe and approved by the zookeepers and animal curators, and have to be the proper size not only to fit the treat inside, but also to be safe for the animals. After learning about what we use and why, the attendees worked in groups to create what they thought a lion might enjoy ripping apart! Keep your eyes peeled for some of these masterpieces next time you’re visiting the lion exhibit! Senior classes are offered monthly with a different theme each class. Check out our website for upcoming senior program opportunities! 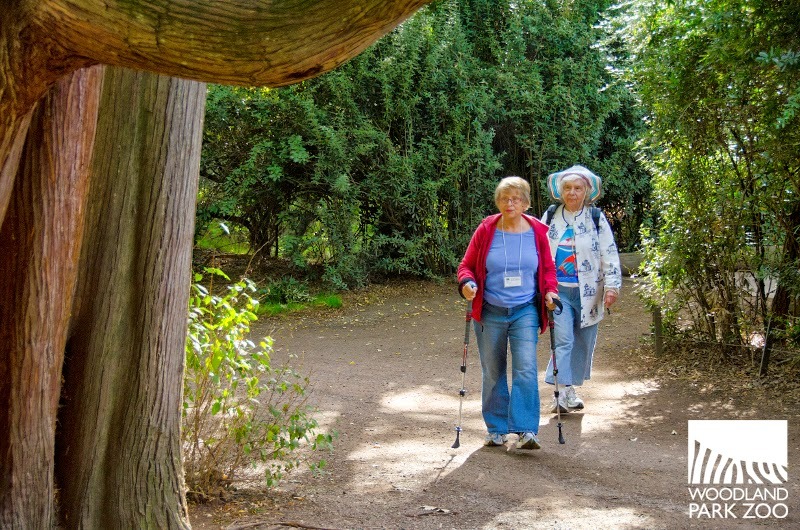 People aged 55 and up can also participate in our long-running Senior Zoo Walkers program. 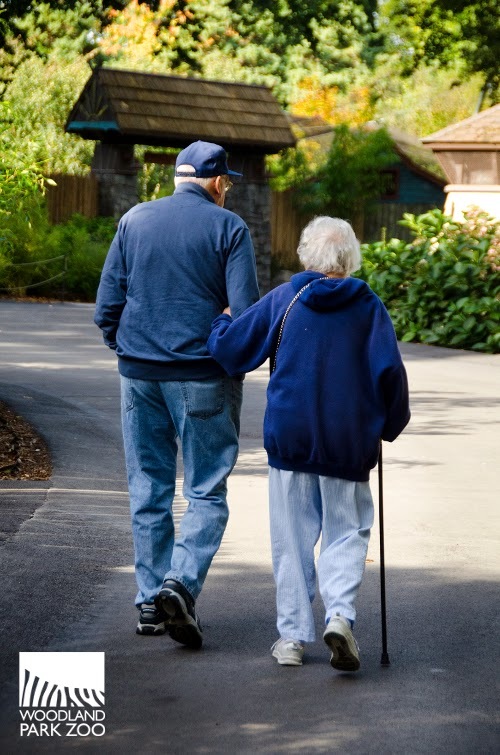 Since 1990, Senior Zoo Walkers has offered an opportunity to be active and walk in a safe area as well as enjoy animals. Seniors taking part in this program arrive before the zoo opens, participate in a quick warm up outside zoo gates and stroll around zoo grounds once the zoo opens. Join us and be a life-long learner at Woodland Park Zoo!